Starcraft and expansion BroodWar are now free! - 遊戲人間 - 謎米香港 - Powered by Discuz! 謎米香港»論壇 › 節目 › 遊戲人間 › Starcraft and expansion BroodWar are now free! 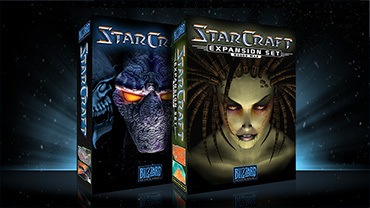 Starcraft and expansion BroodWar are now free!